It’s time to take a break from breakfast waffles and try something different. 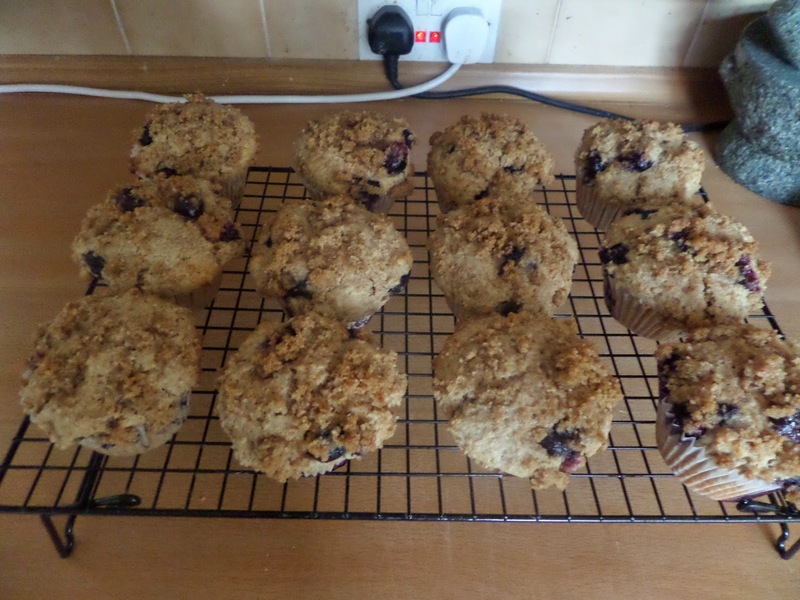 Sticking with the American theme I thought I’d try muffins. 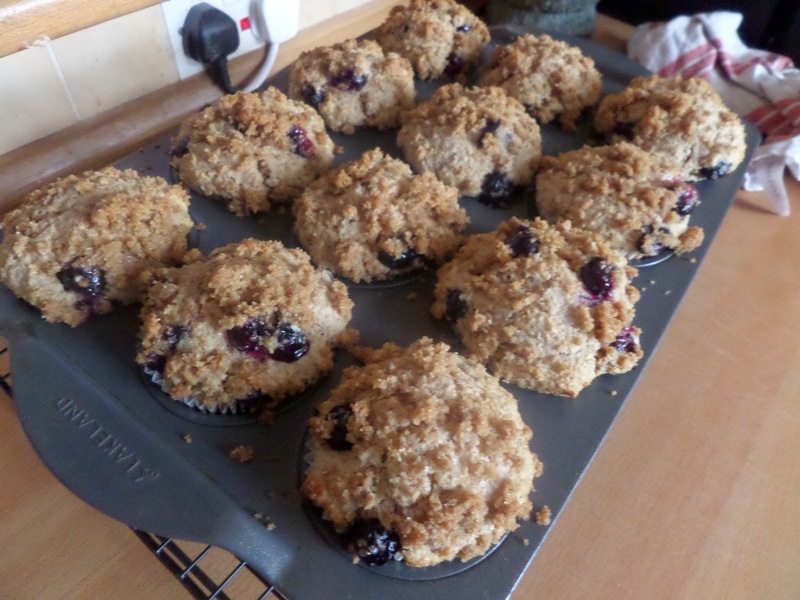 Now muffins aren’t the healthiest breakfast going, but once in a while can’t hurt, and using this whole-wheat blueberry muffin from Cook’s Country gets some whole grains and fruit involved… even if there is a streusel topping! This is a nice simple wet/dry recipe using melted butter, so I didn’t even need the mixer. 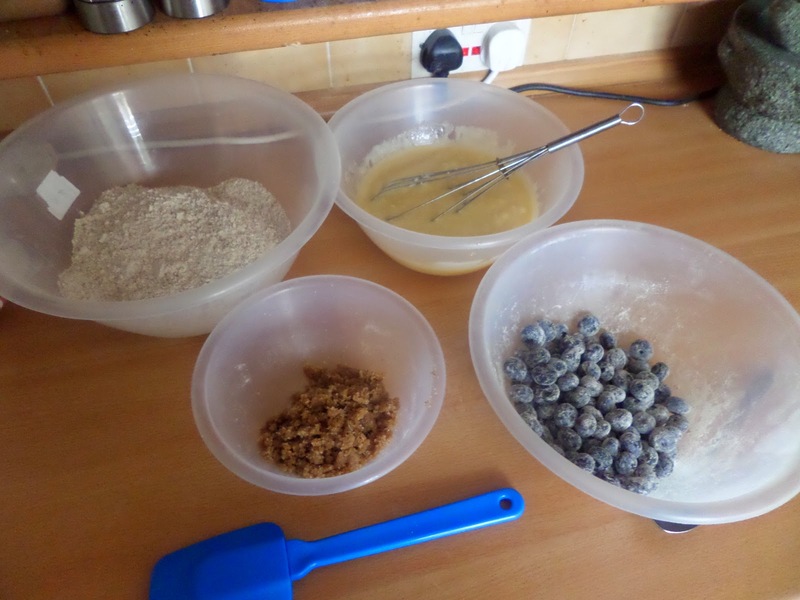 Just whisk dry in one bowl, wet in another, streusel in another. 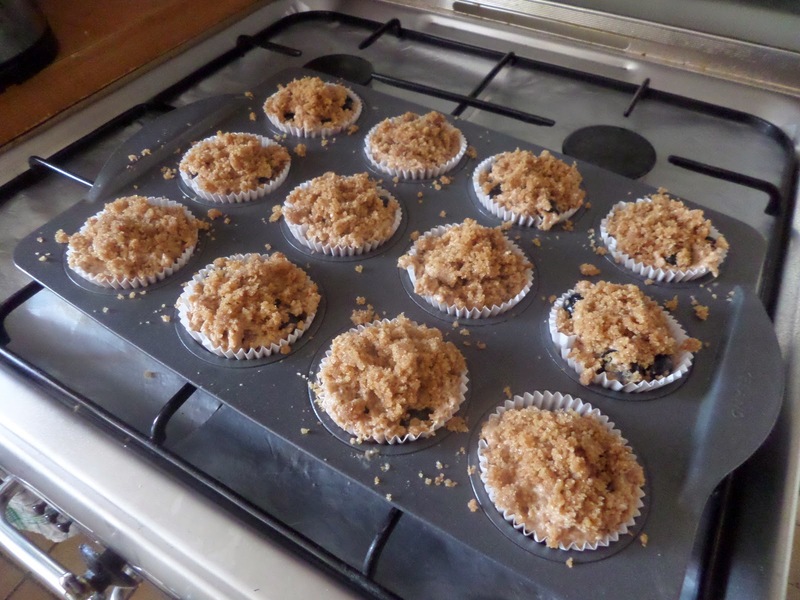 Then combine the wet and dry, fold in the blueberries, portion into muffin cases, and top with streusel. Then bake at 180C fan for 18-20 minutes, rotating half way through, until a toothpick comes out with only a few crumbs on… except due to a delivery coming to the door by the time I got to them they toothpick came out dry. After standing for five minutes they come out of the tray, and will get eaten for breakfast tomorrow.